Goats at a market in Somaliland (photo credit: ILRI/Peter Ballantyne). A new research brief by the International Livestock Research Institute (ILRI) shows that a livestock marketing information system (LMIS) has improved access to animal marketing information and helped increase trading in livestock in Somaliland. The livestock sector is a major source of livelihood in many Somaliland households. Exports of sheep and goats, particularly to the Middle East, experienced tremendous growth between 2007-2012, but despite the opportunities for producers and traders offered by this growth, livestock trade is characterized by underdeveloped legal frameworks, transactional uncertainty and high information costs. 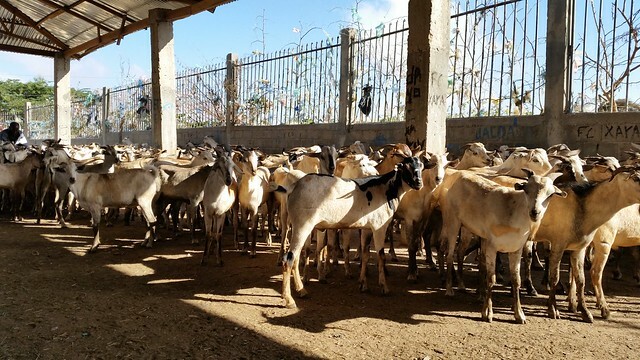 Traditional institutions and religious practices guide the livestock trade in Somaliland.